Ley lines dowsing – Are they valid entities? 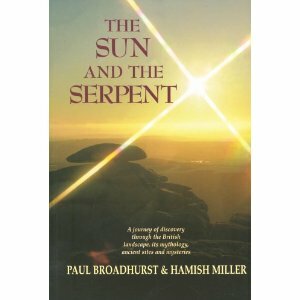 Review of The Sun and the Serpentine by Paul Broadhurst and Hamish Miller. Some matters talked about in new age circles are attractive for those who have a sense that there is a mystery to life. Two examples of topics that resonate are ley lines and dowsing – and they come together in this book. But do ley lines exist and does dowsing work? Ley lines are alleged alignments of such places as ancient monuments and megaliths, ridge-tops and water-fords. It is claimed that these lines have spiritual power and that their intersection points resonate a special psychic or mystical energy. Posted on 29th September 2011 Author editor18Categories Consciousness, Mystical experienceTags ancient sites, common feeling background, consciousness, creative source, divination, dowsing, Emanuel Swedenborg, enlightenmnet, Hamish Miller, intuition, ley lines, mild mystic experience, mystery of life, mystical energy, mystical force, new age, Paul Broadhurst, psychic, psychic energy, rational mind, sacred sites, spiritual power, spiritual world, St Michael's line, The Sun and the SerpentLeave a comment on Ley lines dowsing – Are they valid entities?